Marmalade, one of the major producers of cross-platform technologies, enables software developers to create apps for all popular platforms like Windows, Android and iOS through their streamlined toolset. Top games like Metal Gear Solid, Final Fantasy and Need for Speed were powered by Marmalade in order to target multiple platforms. The same applies to our puzzle game Spinballs that reached the three millon downloads mark. Now Marmalade has launched their Masters program in order to improve the skills of their community and the quality of their software. We are very pleased to announce that we are going to be part of the Masters program enabling us to contribute to Marmalade's development. 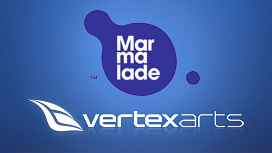 The tight cooperation with Marmalade is an important step for us to improve advanced technologies that power our games and make them available for a wide range of devices while raising their quality. As part of the Marmalade community we are looking forward into the future of game development and we are excited about presenting you our next title soon.